History is happening right now. 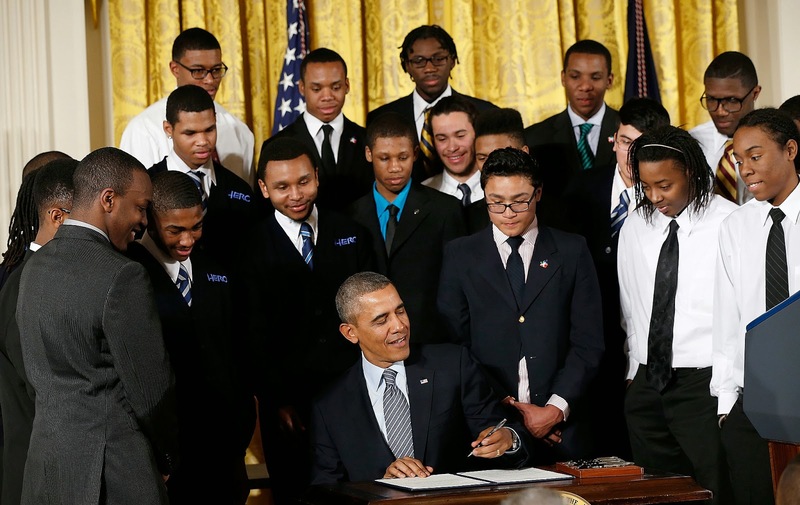 In September 2014, President Obama issued a challenge to cities, towns, counties and tribes across the country to become “MBK Communities.” This challenge represents a call to action for all members of our communities, and mayors in particular, as they often sit at the intersection of many of the vital forces and structural components needed to enact sustainable change through policy, programs, and partnerships. The MBK Community Challenge encourages communities (cities, rural municipalities, and tribal nations) to implement a coherent cradle-to-college-and-career strategy for improving the life outcomes of all young people to ensure that they can reach their full potential, regardless of who they are, where they come from, or the circumstances into which they are born.